On behalf of Pacifico Ventures, leisure property advisers Davis Coffer Lyons has assigned the leasehold interest of 28 Maiden Lane, Covent Garden formerly home to La Perla and El Nivel restaurants, to the Cinnamon Collection. Cinnamon Collection has taken the entire property which comprises 3,105 sq ft over four storeys. The premises are held on the remainder of a 20 year lease with 11 years unexpired, at a passing rent of £150,000. A substantial premium was paid for the lease. 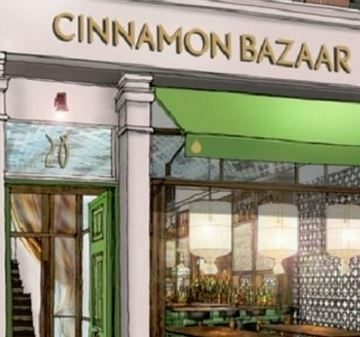 This new 90-cover, all-day concept will be called Cinnamon Bazaar, aimed at a more casual market than sister restaurants Cinnamon Club, Cinnamon Kitchen and Cinnamon Soho, with a predicted spend of £20 per head. Having been acquired by Boparan Restaurant Holdings in January 2016, the owner of Harry Ramsdens and Giraffe had pledged £10million to roll out the Cinnamon Kitchen and Cinnamon Soho concepts over the next three years. The Cinnamon Collection currently comprises the all­day dining concept Cinnamon Soho, the City restaurant Cinnamon Kitchen, and its fine dining offer Cinnamon Club, at the Grade II­listed Old Westminster Library. Formerly trading as two self-contained venues – La Perla, a Mexican restaurant and bar, over ground and basement and El Nivel a chefs table venue over first and second floors the deal to Cinnamon Group also includes the basement and the third floor office and accommodation level. Maiden Lane is also home to popular Covent Garden eateries, The Big Easy, Franco Manca, Polpo, The Porterhouse and of course Rules.